(You can also see a small sample of the pictures from our trip in this Japan Trip flickr set, and I've got a few more sets already posted: Sushi Yoshitake - 鮨よしたけ- Tokyo, Mikawa Zezankyo - みかわ是山居 - Tokyo, Nihonryori RyuGin - 龍吟 - Tokyo, and Tsukiji Market - 築地市場 - Tokyo). the sight, and sound, and feel, of thousands of workers heading from the subway to their office buildings in the mornings - a wave of black- and grey-garbed humanity seemingly marching in unison. the near silence while riding on even the most crowded Tokyo subways. the little musical jingles for each subway train as they arrive at a station. the trucks emblazoned with posters for girl bands blaring their music through the Tokyo streets. the prevalence of stylized cuteness - "kawaii" - not just for kids' stuff, but for all types of businesses and products. the young women walking pigeon-toed in outrageously high-heeled boots and remarkably short skirts in 30° weather. businessmen carrying stylish "murses" - and I'm not talking about attaches or messenger bags. the way everyone uses two hands to present a bill or accept payment, a small, graceful showing of attention and respect. the sight of a taxi driver polishing his car while on break, of a Tsukiji fish vendor polishing his bicycle after his products for the day were sold (as if indoctrinated with the chef's mantra of "If you've got time to lean, you've got time to clean"). the scarcity of public garbage cans - which we always struggled to find - coupled with the incredible cleanliness of most public spaces, including the trains and subways. the toilets with space shuttle technology - seat-warmers, rear-washers, bidets, dryers, and deodorizers - contrasted with the traditional "squatting" toilets found in many public places. the prevalence of wearing surgical masks (by some), contrasted with the rather extravagant, uncovered sneezing and coughing (by others) - and that there seems to be no equivalent to "Bless you!" or "Gezundheit!" or "Salud!" in Japan. the lace covers on the seats of taxi cabs; the taxi drivers wearing suits and, often, white gloves. the incredibly abstruse system of addresses in Japan, and the lengthy pregnant pause as taxi drivers would decipher and plot a course to any destination. the drive from Atami station to Tsubaki Ryokan, clinging to the side of a cliff with the ocean beneath, like a scene out of Miyazaki's "Ponyo." the sound of the quickly shuffling feet of our traditionally garbed attendant at Tsubaki, and her and our game efforts to communicate with each other via iPhone translation apps. the teenage girls in Kyoto dressed as geishas and taking selfies of themselves making peace signs on their iPhones. the sound of unabashed slurping in the ramen houses. the swing-era jazz music that seemed to be the unofficial soundtrack of every café and restaurant we visited that had any music playing. 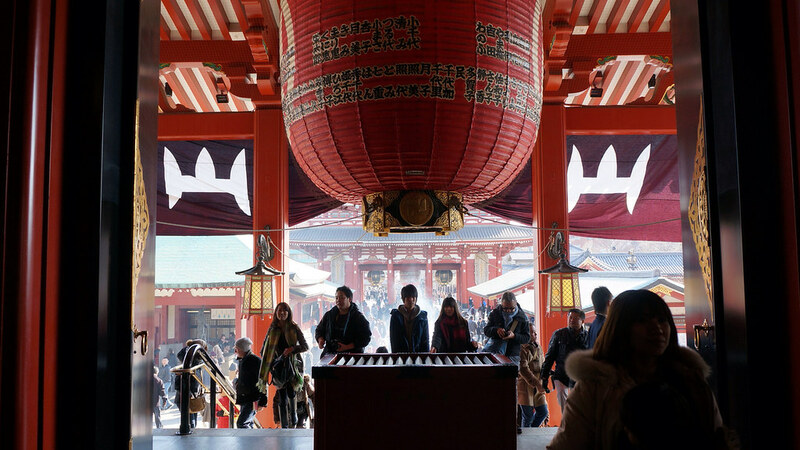 the prayer ritual at Shinto shrines: wash hands and mouth at the "temizuya" fountain, then throw a coin into the offering box, bow twice, clap twice, say your prayer and bow again. the sound of wooden prayer plaques rattling in the wind. the smell of incense burning in front of the Buddhist temples. the constant refrain of "Arigato gozaimasu!" ("Thank you! "), usually repeated about five times for every transaction. 1. Your hotel concierge is your friend. One of the joys of travel for me is plotting out restaurant reservations. But in Japan, many of the best places will not even take reservation requests from anyone who does not speak Japanese. Even if they did, the time difference and communication difficulties will likely make it a difficult process. But we found our hotel concierges more than willing and able to fulfill this task. We booked our trip on fairly short notice - three weeks - and I gave the concierge at the Park Hotel Tokyo some rather complicated marching orders. We had five days in Tokyo, and since I knew many of the places we wanted to visit had very limited seating and might already be booked, I gave them a list of about 20 restaurants, ranked somewhat in order of preference, but with different preferences for different nights (i.e., our first night in Tokyo we wanted sushi close to the hotel). After a couple initial questions - did we have any food allergies, did we object to cancellation charges - within twelve hours they came back with five reservations that fit our requests perfectly. They then promptly followed through on a couple later audibles from us. When we arrived at the hotel, they had prepared forms with confirmations of each of our reservations, as well as print-outs with maps and addresses for each restaurant in English and Japanese (for the taxi drivers). I want these people to run my life for me. In addition to assistance with reservations, we also got some very good advice from the concierges. When Mrs. F had grown weary of kaiseki in Kyoto, our concierge steered us to a local izakaya that was exactly what we were looking for. When we were unable to book reservations at a couple of places that had been recommended to us in Kanazawa, the folks at the ryokan where we stayed instead booked us at a tiny eight-seat sushi place in an old tea-house that was one of the best meals of our trip. 2. Google Maps is your friend. I was astounded at how efficient Google Maps was both in finding addresses and guiding us to locations - even in (relatively) more remote areas. 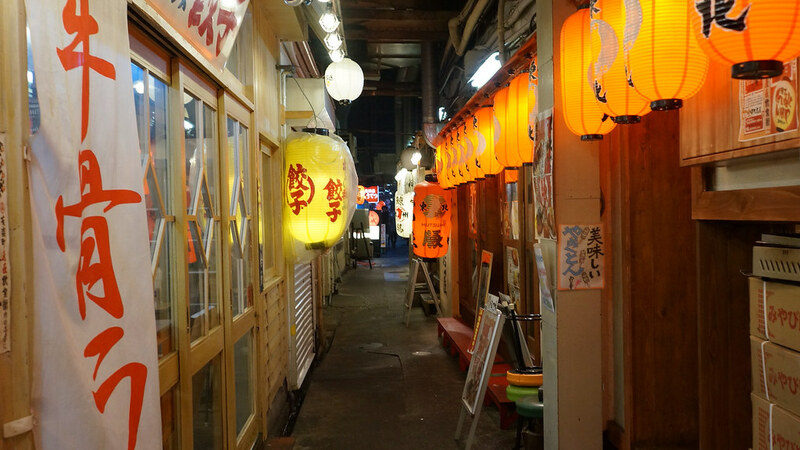 It would not always recognize the "Westernized" names for places, but if you could find an address (even in Westernized form, i.e., "4-1-15 Nishiazabu") or the Japanese characters for a name, it would usually turn up the right spot. Its route-planning for subways was pretty consistently reliable, and for walking routes as well. Though the walking directions were sometimes a bit unorthodox - we took a back route up to Kiyomizu-dera temple that wound alongside a massive cemetery, rather than the well-trafficked direct path - they invariably worked, and often led us places we'd never have seen otherwise. 3. Mobile WiFi is your friend. WiFi connectivity throughout Japan is not nearly as widespread as you might expect of this tech-savvy country, and international data service always makes me nervous as to what I'll end up paying. We rented a mobile wi-fi router from Japan Wireless which, for about $85 for two weeks, was a great investment. It was waiting at our hotel when we arrived, and came with packaging so it could be dropped in the mail (or left with the hotel to mail) when we were done with it. We could connect all our phones and tablets, the device could be slipped into a small bag, it would hold a charge for about six hours of constant use, and we were connected just about everywhere we went other than on some train routes. Honestly, I don't know how we would have managed the trip without the combination of Google Maps on the phone + mobile WiFi. 4. The Japan Rail Pass is your friend. If you're planning to travel around the country at all, a Japan Rail Pass is likely a good investment. We got ours through Inside Japan Tours, where a 14-day pass cost $425. Since we took trains from Tokyo to Hakone, from Hakone to Kyoto, from Kyoto to Kanazawa, and from Kanazawa back to Tokyo, I'm sure we came out way ahead. Note that the JR Pass does not cover local subways, something it took us a little while to figure out when we first arrived. For that, I'd suggest getting a "Pasmo" card, which can be used at most railways, can be "re-loaded" at machines located in every station, and can also be used as a debit card at many vendors in the stations. 5. There are better ways to/from the airport than taxis. I've been told that a taxi from Narita airport to downtown Tokyo will cost hundreds of dollars. For about $25, the Keisei Skyliner train runs directly from Narita to Nippori Station or Ueno Station in about 45 minutes, where you can connect with most Tokyo destinations by rail or subway in another 20-30 minutes. Alternately, the Airport Limousine Bus costs $30, picks up or drops off directly at several Tokyo hotels, and takes less than 1 1/2 hours. 6. Information is everywhere on the trains and subways; use it. If you pay attention and read closely, the information you need to get around is usually available somewhere, in English. Every sign, every ticket, has meaningful data on it if you know where to look. Conversely, if you don't pay close attention, you can easily end up on the wrong train - as we did when we got on a "limited express" train that arrived at the same platform as our "express" train, but four minutes earlier, and which overshot our destination by about 100 miles because it didn't stop at all the stations. Of course, one of the passengers kindly helped us figure out where to get off and which train to catch to backtrack to the right station. 7. Don't assume your plastic will work. I have heard that the magnetic strips on U.S.-issued credit cards are antiquated compared to what is used in Japan, and that many Japanese card-processing machines will not recognize them. Whether or not that's the reason, my Citi AAdvantage Mastercard was pretty much useless there. Fortunately, my American Express worked, and was accepted virtually everywhere that took cards (though some restaurants do not take credit cards at all). Likewise, many ATM machines will not recognize U.S.-issued ATM cards - we had better luck when we used the JP Bank machines at major train stations. Here is where we went in our fourteen days, covering Tokyo, Hakone, Kyoto, and Kanazawa. I'll do my best to recount some of the highlights over the coming weeks. Finally, some words of thanks to many people whose advice and writings were invaluable in steering us to great experiences in Japan. First and foremost, Steve Berry, a/k/a "Blind Mind," who provided countless great tips from his Japan trip last year, and whose enthusiasm and passion helped persuade me to take the leap. Kevin Cory, chef of Naoe restaurant, who provided a comprehensive guide to Kanazawa that we could only begin to put a dent into. In no particular order - Chuck of ChuckEats, Dr. Tomo of TomoStyle (who we had the incredibly random good fortune to run into at one of our dinners in Tokyo! ), Yukari Sakamato of Food Sake Tokyo, Robbie Swinnerton of TokyoFoodFile and the Japan Times, Litti Kewkacha of sfreelife, Aiste Miseviciute of Luxeat, and Andy Hayler's Restaurant Guide - all of whom provided meaningful insights that helped narrow down a daunting plethora of choices. If you are plotting a visit, I encourage you to read as much as you can from all of these sources. More reports to follow, hopefully soon. For instance, the logo of Yamato Transport, a ubiquitous delivery service that seems to be Japan's FedEx, is a cartoon black cat carrying a kitten in its mouth. On the other hand, cleavage seems to be rarely displayed in Japan, other than in anime and manga. If I sound like a perv, please note these were Mrs. F's observations as well. We generally could find public trash receptacles in only two places: (1) next to vending machines, where there would usually be recycling bins for glasses and bottles; and (2) in front of Lawson convenience stores. Sometimes there would be one on the subway platform. On the trains, some of the cars would have one. Otherwise, they seemed to be virtually nonexistent. And yet you never see garbage on the ground, including on the trains where people routinely bring packaged food to eat. It's as is people have a sense of personal responsibility for their own trash. As I understand it, every city is divided into different districts (a "chome"), which are then broken down into numbered blocks, and then each building on a block is also assigned a number. Building numbers are not consecutive, but rather are based on when the building was constructed, and thus are in no particular order. I have no idea how anybody finds anything without a GPS. Sounds like a fantastic, interesting trip. And great writing, as usual. Maybe you could cross over from food writer to travel writer. Eager to read future Japan reports. Thanks. Sounds great! 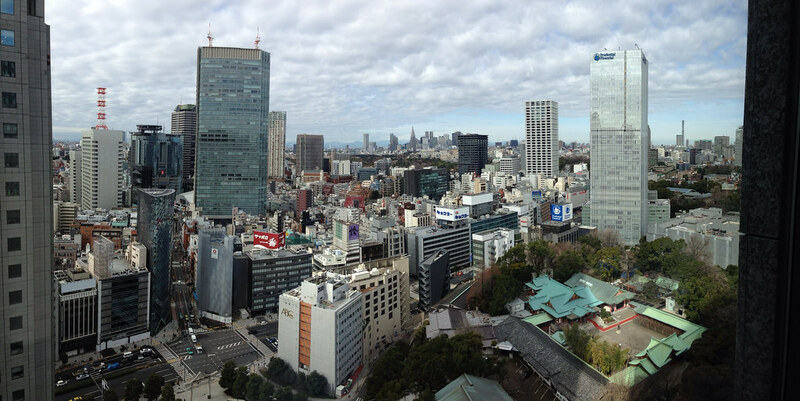 I am so intrigued by Japan...I can't wait to hear what else you have to say. Fantastic list! I am going to visit Japan next week. I booked my hotel one month ago. I suppose I will have troubles with wi-fi , too. Thank you for sharing such a useful information! I am sure that google maps will be the most used app when I am there. Best regards! Thanks for the information. I was planning to visit Japan this year however i didn't know where to start. Thanks for the awesome post of Japan Tour.